The all metal chassis of the 17" Mercury Lo-Boy super heavy-duty floor machine makes it a heavier machine, providing faster results. It is designed for indoor use only. Make sure to keep the motor housing free from water, and the exhaust vents free from debris. Do not start this heavy-duty machine up if the vents are blocked, this can cause premature motor failure, voiding your warranty. Train your employees on proper use before allowing them to use this machine. Our basic floor cleaning procedure will give you a good start in that direction. 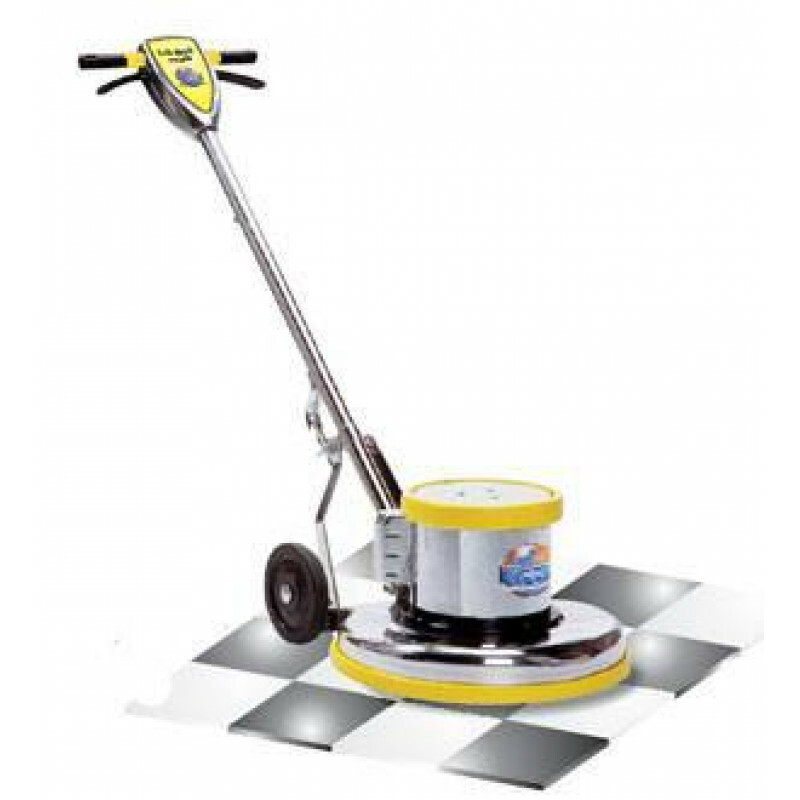 Take a look at our complete line of 17 inch 175 RPM floor polishers/buffers for other options. When using the Mercury 17" Lo-Boy on site, make sure to not operate it near any flammable liquids, dusts, or vapors. The engine does spark during normal operation, and the operating heat of the machine could possibly start a fire. Make sure to always unplug the machine when it is not in use. The 6" inch non-marking wheels make it easy to transport the machine after each and every job. Safety enhanced interlock switch and ensures both hands are always in control of the machine. A fully adjustable handle makes it easy for any operator to use this machine. 1.5 HP motor plugs in at the handle base for easy maintenance. Triple planetary high torque transmission for the toughest jobs. Precision balanced heavy-duty 66-frame motor.